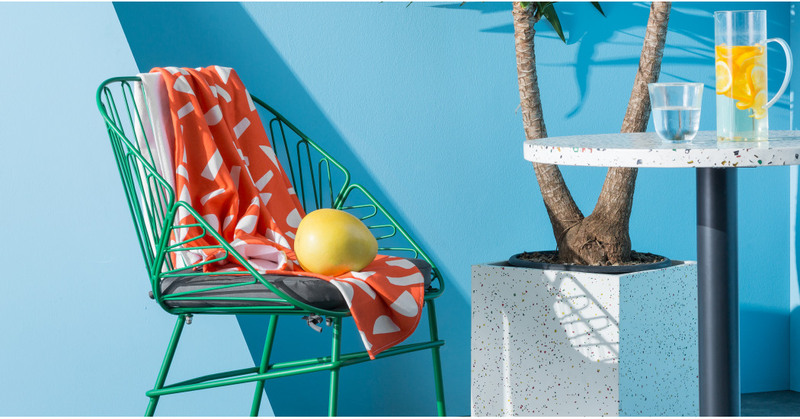 There’s no denying it, terrazzo is definitely having a moment right now. If you’re looking for an easy way to work the trend look no further. Iggy is for you. Super lightweight and absorbent, Iggy is a pure cotton towel created by our super-talented MADE Studio team. They’re experts when it comes to taking the latest trends and putting their own unique spin on it. Like our bold and vibrant Iggy towel? There’s more where that come from. Invest in the matching outdoor cushions available in two gorgeous shades.